Democrats have been raging against Nunes’ memo that is nothing more than what has been known in conservative media for months. FOX News has had multiple stories on the people and events of this bogus FISA warrant to surveille the Trump campaign. That this is a violation ten times worse than Watergate is just the tip of the iceberg. Rep. Adam “Shifty” Schiff (D-CA) has been railing against this memo being released as if it would destroy national security and the public’s faith in the FBI and DoJ. So why is this the end of the world to him? Because it makes official what liberals have been mocking and slandering as a rightwing whacko conspiracy theory. 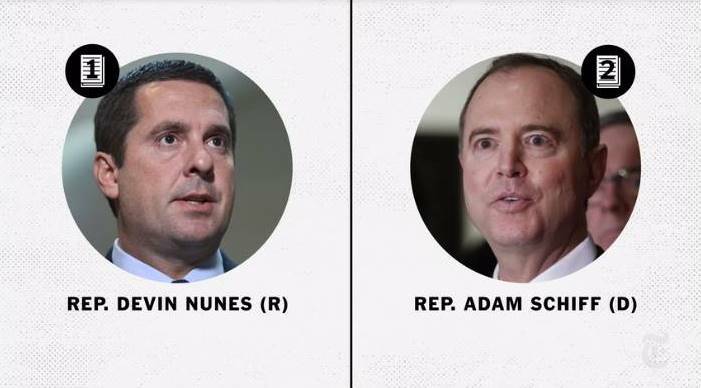 Now America has official word from the Intelligence Committee of Congress that these Democrats are under investigation for violating the law and spying on a presidential candidate on behalf of the Democrats. It has nothing to do with “discrediting” Mueller’s bogus investigation that has always been an obvious witch hunt with no basis in any crime. It has everything to do with the crime of spying on the Trump campaign by the Obama regime for Hillary Clinton. The dominoes have begun to fall and they can only get bigger.